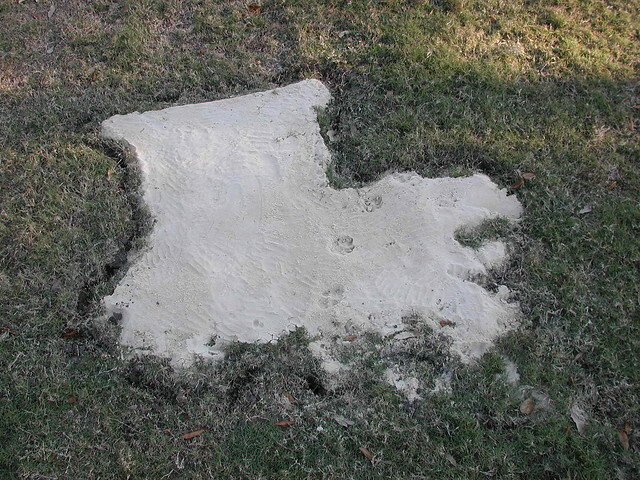 It’s a pitcher full of water suspended above a map of Louisiana made of sand. A strange, elegant, and disturbing metaphor for our current situation. I have no idea who’s behind this. Could it be the same person (or people) who put up the flood marker? Whoever it is, I salute you. Update: Thanks to Courtney Egan for revealing that this is a project of Art in Action! 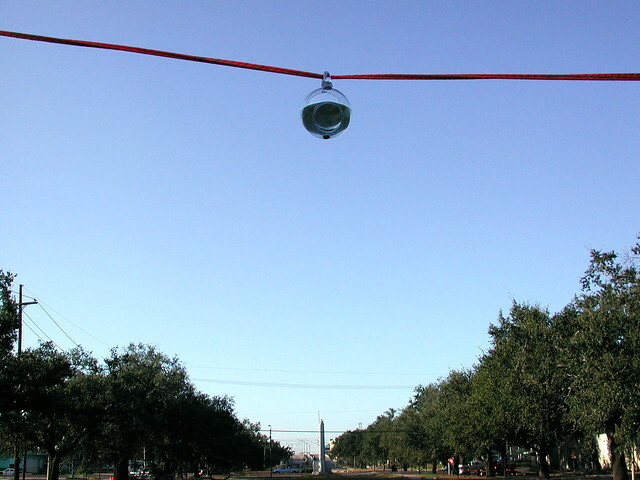 This specific piece is Site #6, “O Water!” by Jonathan Traviesa, the same guy who put photos on Bayou St. John a year ago. 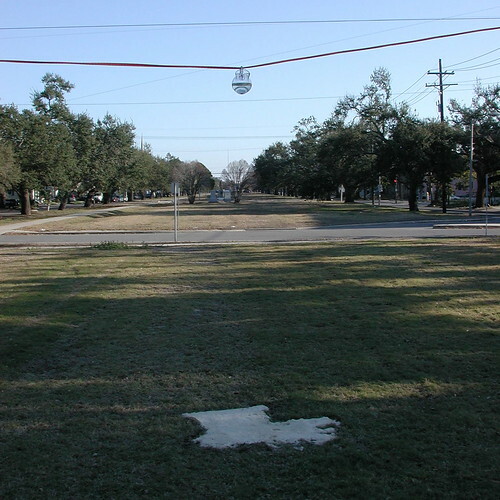 You can read about the installation or, if you’re in New Orleans, you can go down to Jeff Davis and D’Hemecourt and see it yourself. It was still there this morning. Jonathan Traviesa, I salute you. I like the kitty footprints that extend from the Cajun Triangle into Mississippi. Is that kitty footprints or drops from the water above. You nailed it, B. That’s elegant. Lovely. Keep turning stuff like this up and minds will begin to turn. Now that’s something to make you think deep thoughts about…………. that is frigging awesome. it makes me miss midcity. who ever did that kudos. art for arts sake.